As professional Truck Wreckers Adelaide, we are wreckers in the business and the business as professionals and ones that are ready to make you a fair offer for your automatic or standard transmission truck. We buy every make and condition of a car, and love being able to provide top cash prices that result in quick sales for any type and condition of the truck. 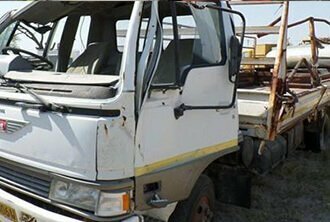 With ‘Car Wreckers Adelaide’, you have your truck wrecker that will pull & recondition parts, recycle, and provide an eco-friendly disposal to put top cash in your hand. Tired of that once glorious truck sitting in the yard wrecked? It’s tough, and tougher when you are not quite sure what to do with it. Towing is costly, so it sits. Pulling the parts takes knowledge, tools, and time. So, it sits. Don’t let any more value go from the truck as it will only sit and deteriorate. Let Car Wreckers Adelaide make you a top cash offer for your wrecked, accident, damaged, or old truck. We are the removal company that buys trucks and arrives with cash in our hands before its scheduled removal, so you don’t have to go to the cost or the inconvenience to have it removed. We buy & remove trucks in Adelaide for free. You may have guessed it by our name, but may be wondering if trucks are a speciality Car Wreckers Adelaide. 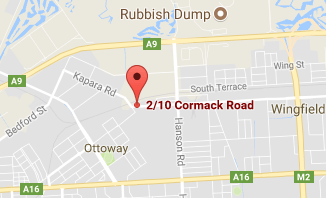 We are Adelaide wreckers that specialise in truck wrecking. We are the source for truck owners with trucks that have been involved in a collision, or are damaged, or nearing the end of their lives to get their Cars wrecked for free. Truck Wreckers Adelaide pays cash up front, putting up to $9,999 cash in the hands of our customers before we load their cars to remove. When it comes to wrecking trucks, our truck “Wreckers Adelaide SA” is at the top with top of the line equipment and skills that extend beyond belief. We are wreckers that are fully equipped to provide our customers with the courtesy of having our pros dismantle their trucks for them. So, that they do get the best value from their trucks. Our wreckers are professional and courteous, allowing our customers to discuss the conditions of their trucks with them to provide all options to maximise the value of the trucks. We are wreckers that take the time to provide exceptional service and do so in a polite, professional manner. Once quotes are provided, it is up to the truck owner as to whether he or she would like to accept the quote or reject it. When we accept the quotes, we will schedule the FREE Car Removal.